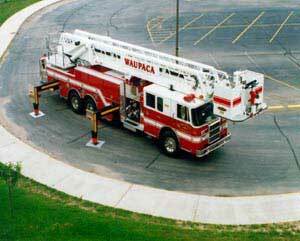 The Waupaca Volunteer Fire Department’s training division is responsible for the training of all new members, and the ongoing training of current members, in the areas of firefighting, Motor Pump Operators (Engineers), Extrication, Water/Dive/Ice Rescue and other specialized areas. 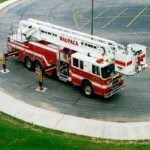 The Waupaca Volunteer Fire Department’s training division is committed to supply the community the best-trained individuals to handle fire and other emergencies as they arise. 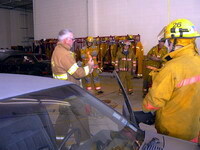 Members joining our department to actively fight fires must attend, and pass a State of Wisconsin Certified Fire Fighter 1 class through one of the technical colleges in the state. 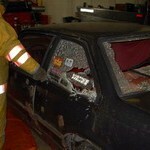 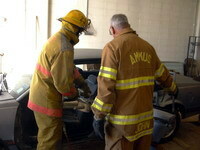 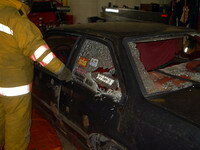 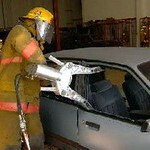 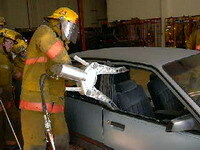 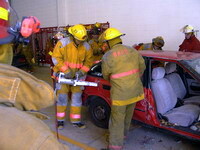 Fire Fighter 1 class includes 96 hours of classroom instruction and practical skills. 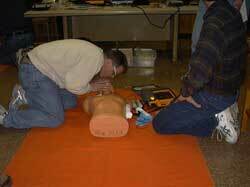 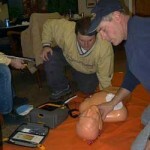 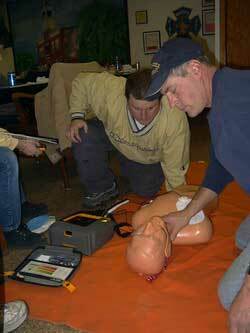 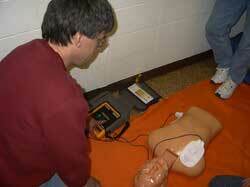 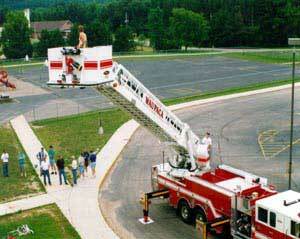 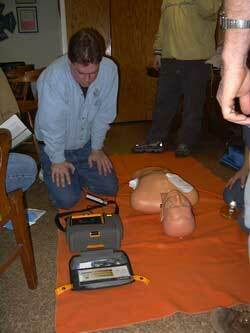 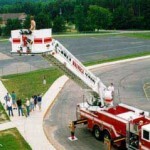 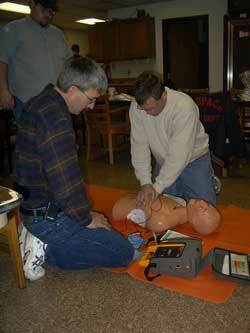 The Waupaca Volunteer Fire Department conducts organized trainings twice a month. 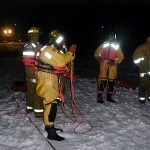 Our trainings consist of a variety of topics all of which are designed to keep our members skills at a level to operate at extreme conditions at a moments notice. 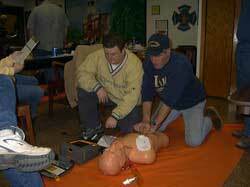 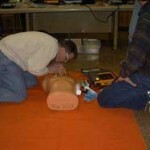 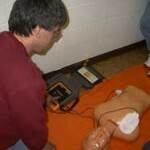 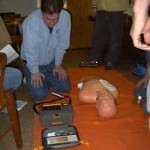 We encourage department members to seek training outside the department as well, through Schooling and conferences. 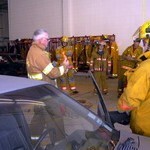 As with any department we are struggling to find the time to fit in all the training that is required. 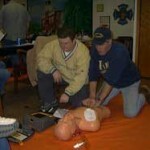 We welcome all department members to share their ideas to help make our training sessions both informative and interesting. 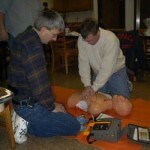 Firefighters from the Waupaca Area Fire District completed 4 hours of certified CPR & AED (Automatic External Defibrillator) training through Fox Valley Technical College. 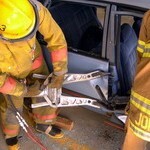 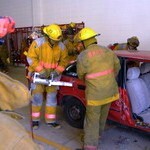 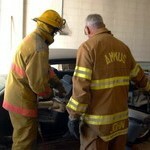 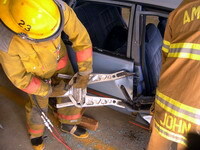 Firefighters from the Waupaca Area Fire District participate in extrication techniques. 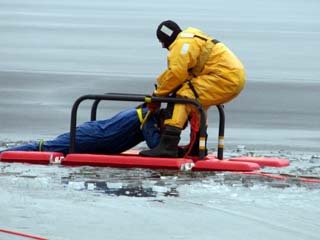 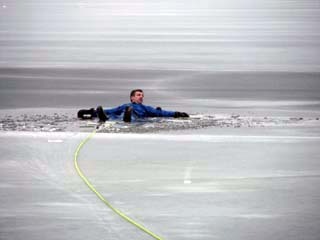 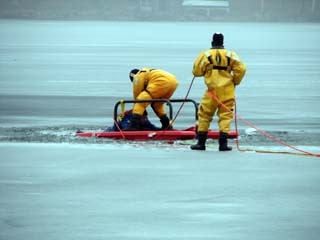 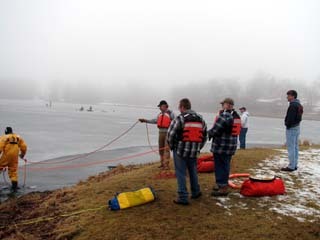 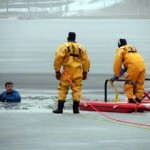 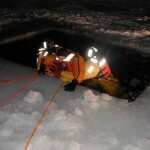 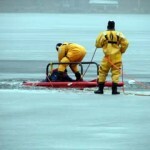 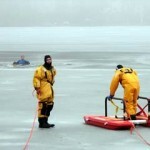 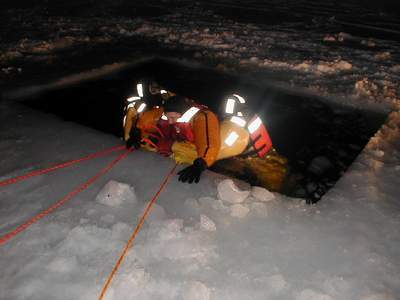 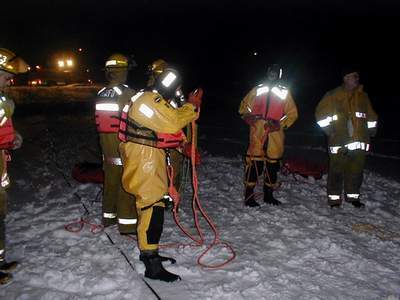 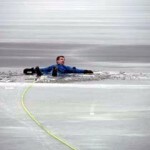 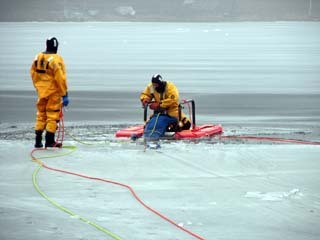 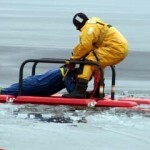 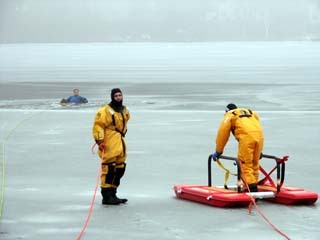 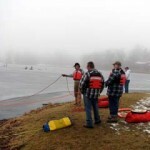 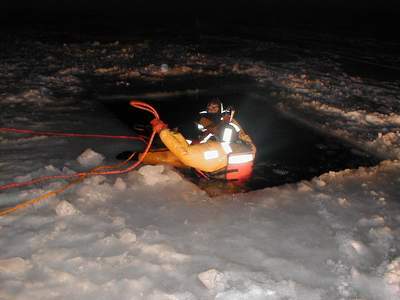 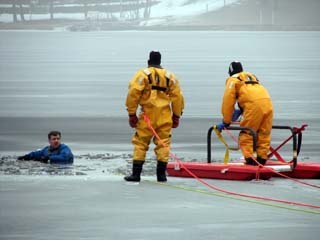 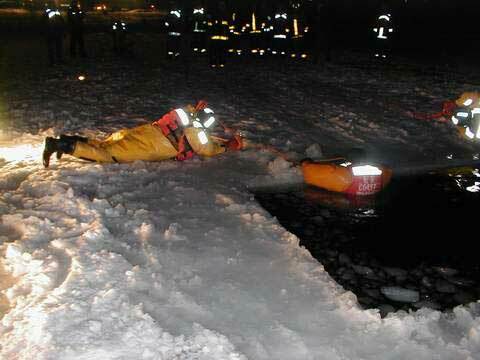 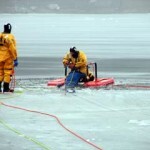 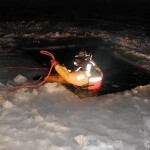 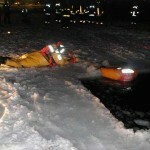 Firefighters from the Waupaca Area fire District recently completed Ice Rescue training through Fox Valley Technical College. 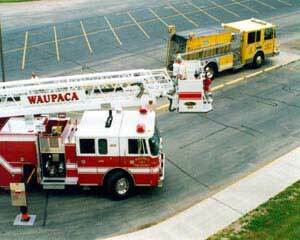 Firefighters from the Waupaca Area Fire District recently completed training in the proper and safe extinguishment of a LP Gas fire. 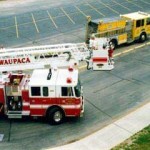 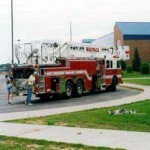 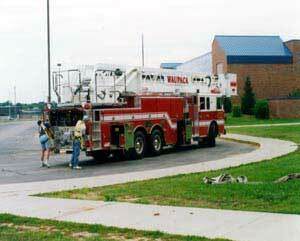 Firefighters from the Waupaca Area Fire District annually participate in pump training of all fire apparatus.